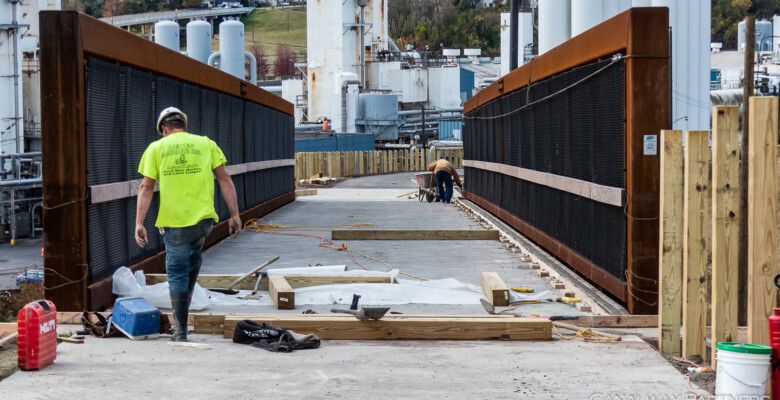 Another step towards the completion of stage 3 of the Towpath Trail extension project was recently made as the concrete deck of the truss bridge spanning W. 7th St. was poured! Asphalt and concrete work around the Towpath Mounds is also being completed before cold weather arrives. This entry was posted in Blog, Slider Images. Bookmark the permalink.